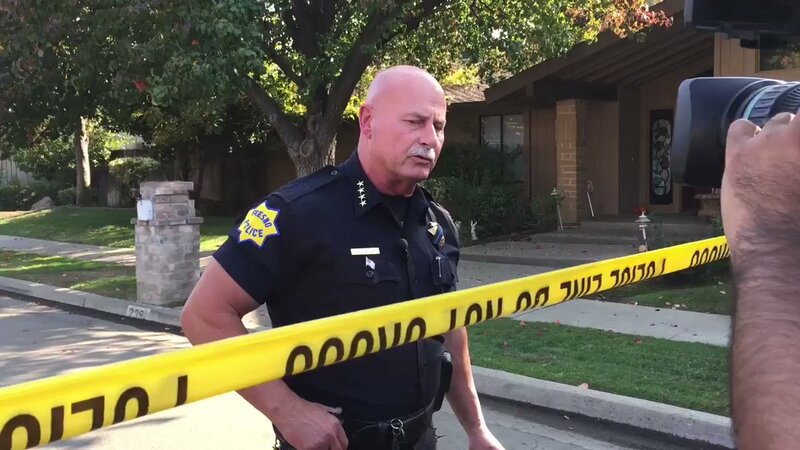 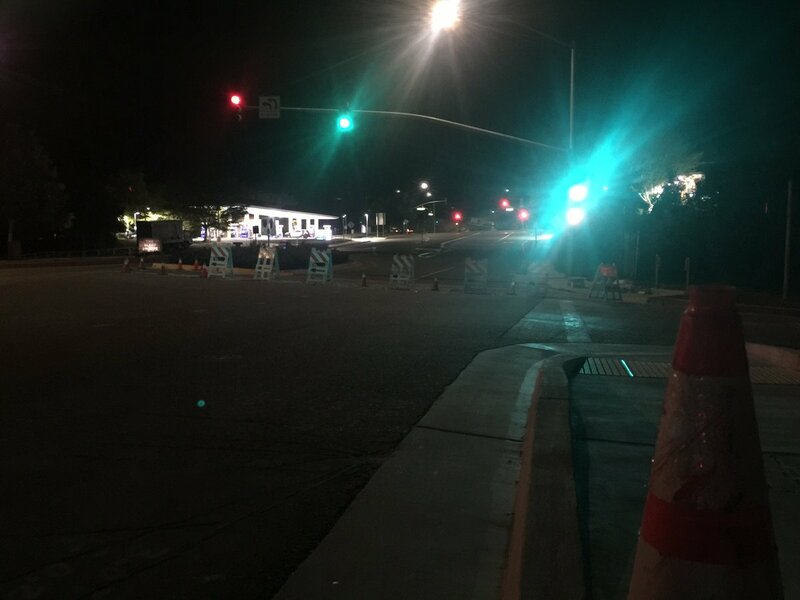 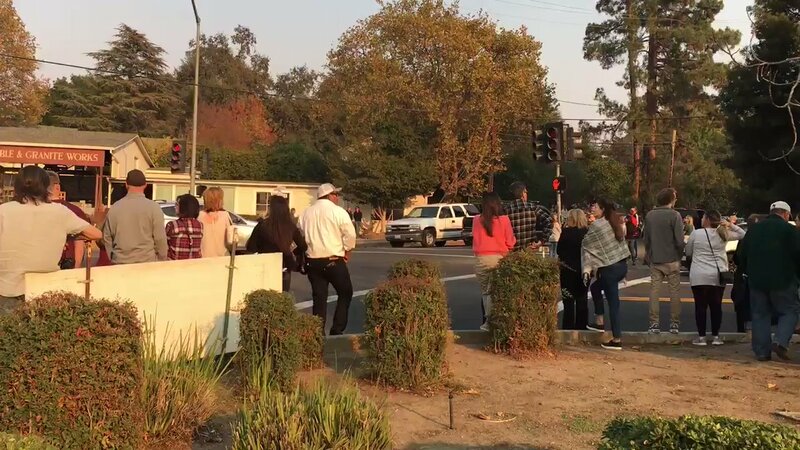 People are lining up along Napa streets in preparation of the arrival of Alaina Housely's body from Southern California. 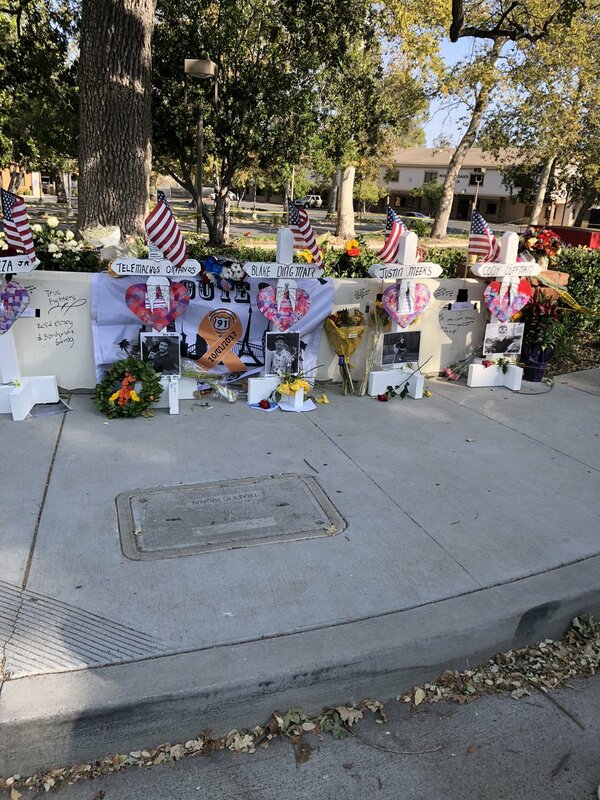 She was one of 12 people killed in the Thousand Oaks mass shooting on Wednesday. 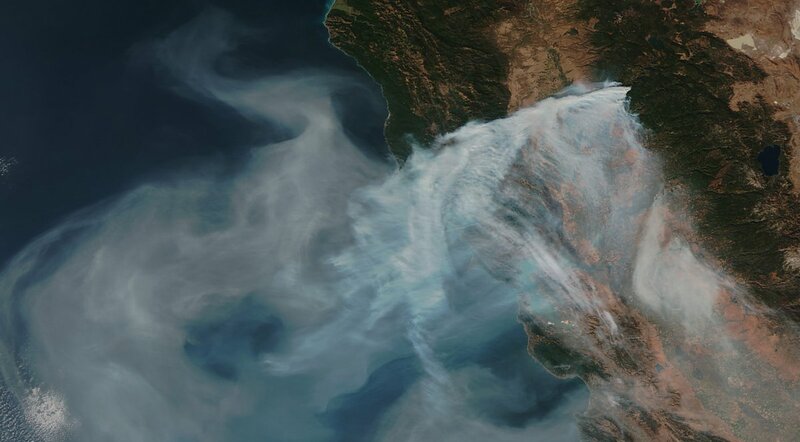 Wildfire smoke and haze continues to blanket much of California. 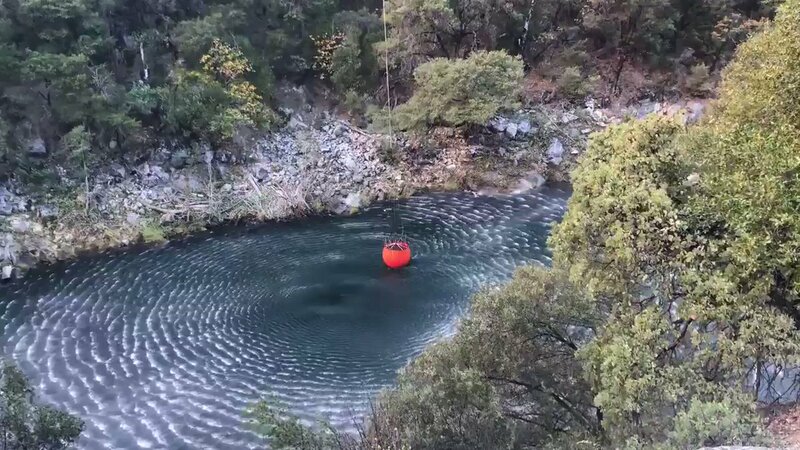 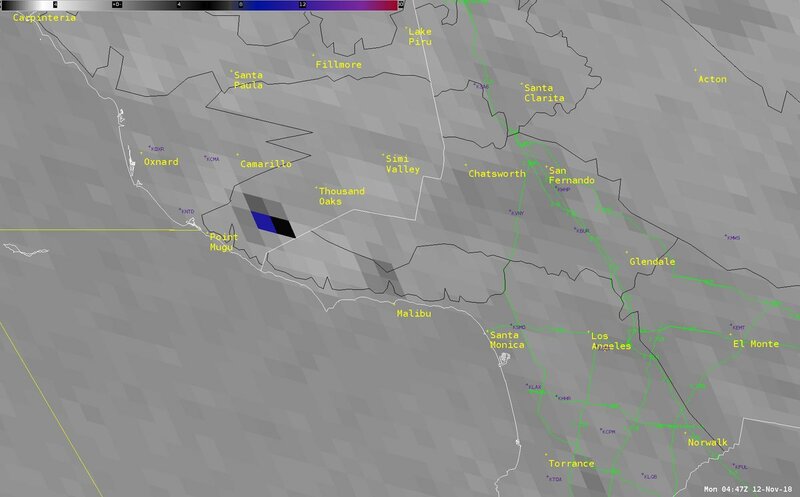 At 230 pm, automated station at Cheeseboro in WoolseyFire burn area reporting NE winds 22 gusting 42 mph with RH of 4%. 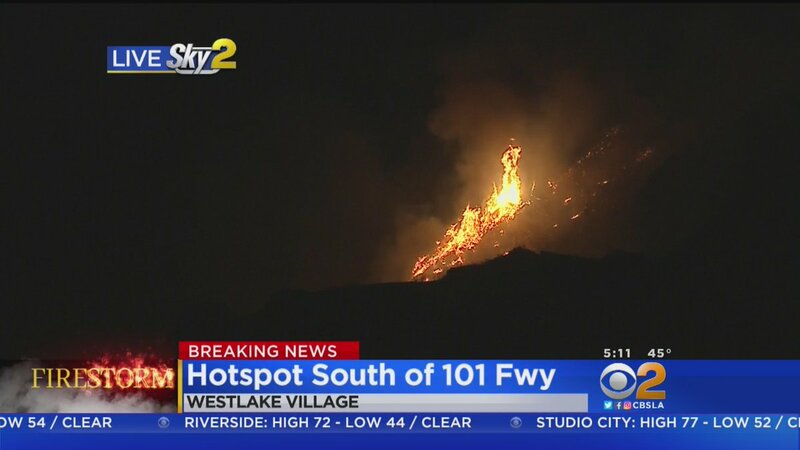 #WoolseyFire - Couple of reported flare-ups adjacent to the 101 Fwy.. reports of trees on fire @ W Driver Ave and Chesebro Rd in Agoura. 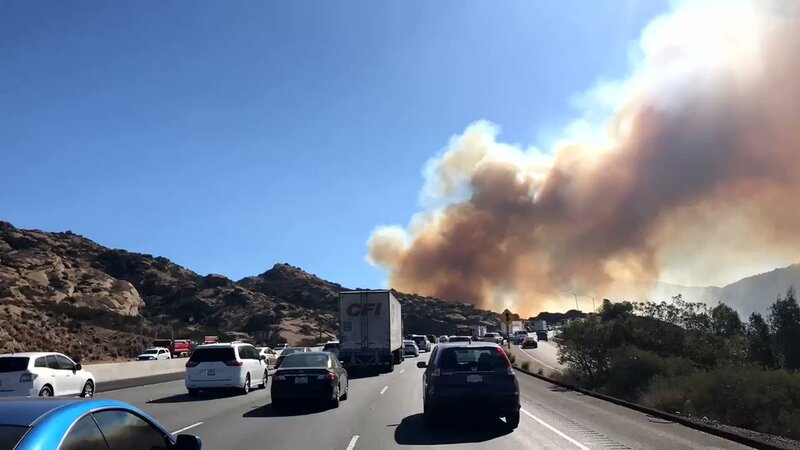 Other one is Las Virgenes Rd and the 101. 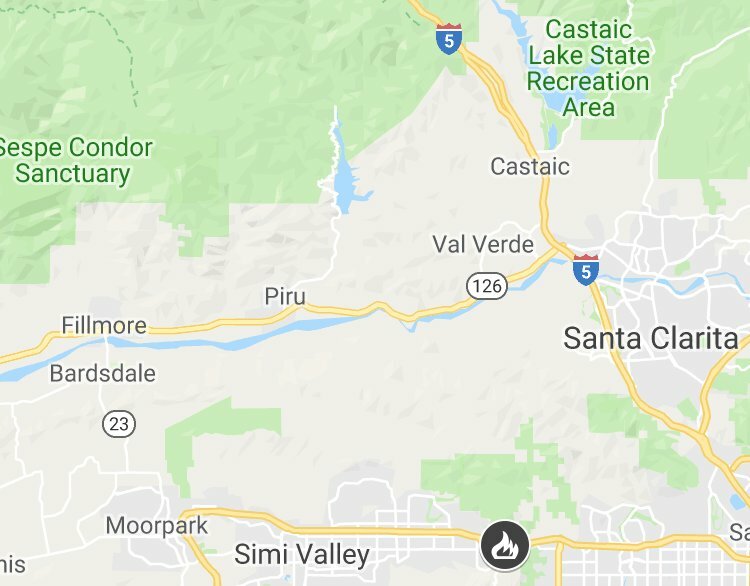 #WoolseyFire - Reported structure fire @ 67 Mimosa Ct in Oak Park. 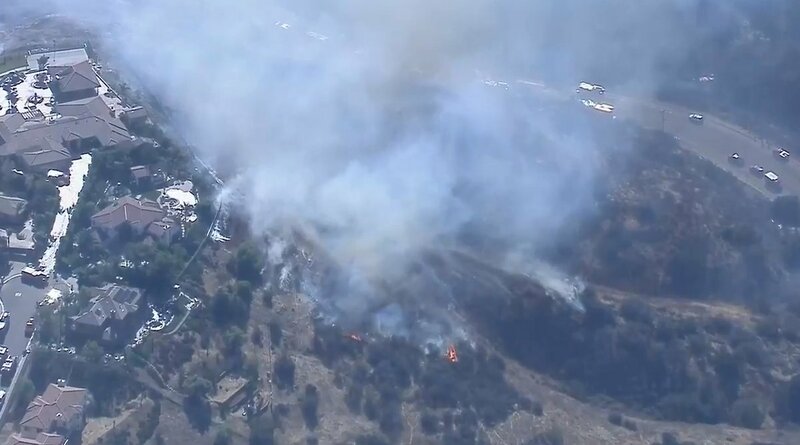 Fire crews gaining upper hand on brush fire in East San Jose, according to Cal Fire. 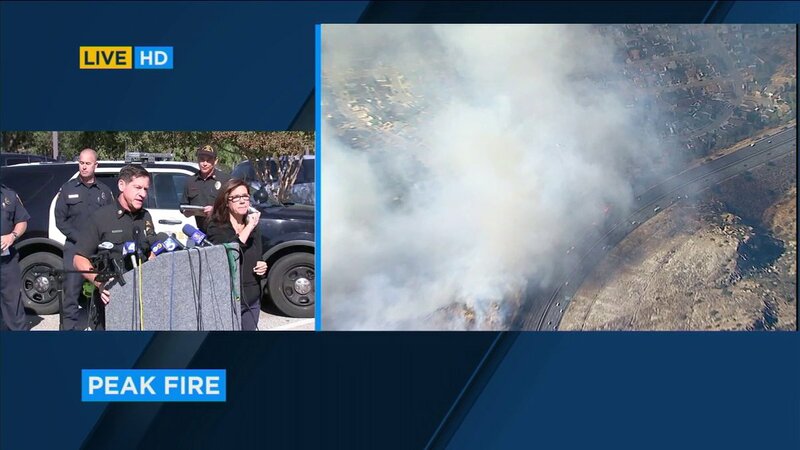 #WoolseyFire - Several flare-ups near Rocketdyne threatening containment lines. 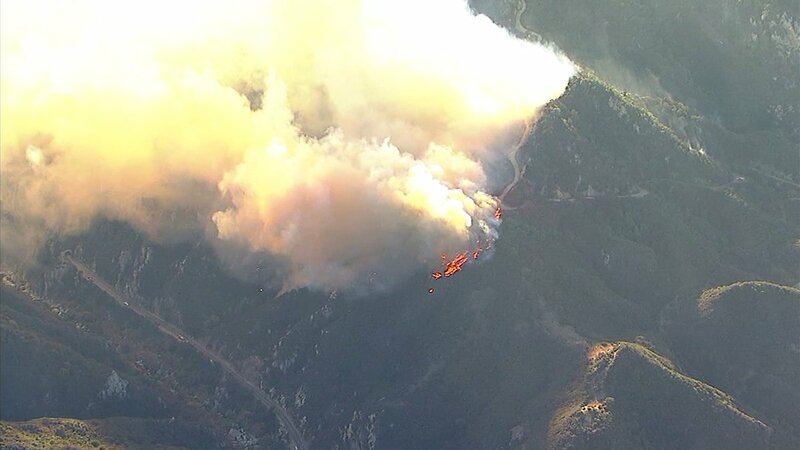 6 strike teams protecting structures in Bell Canyon which is to the south. 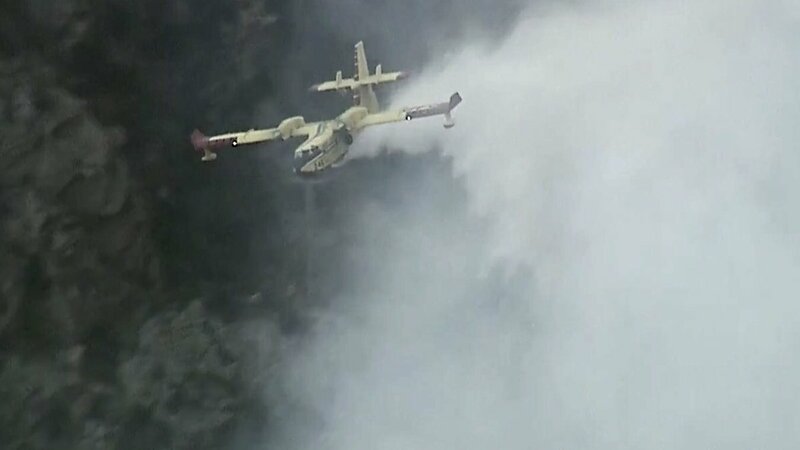 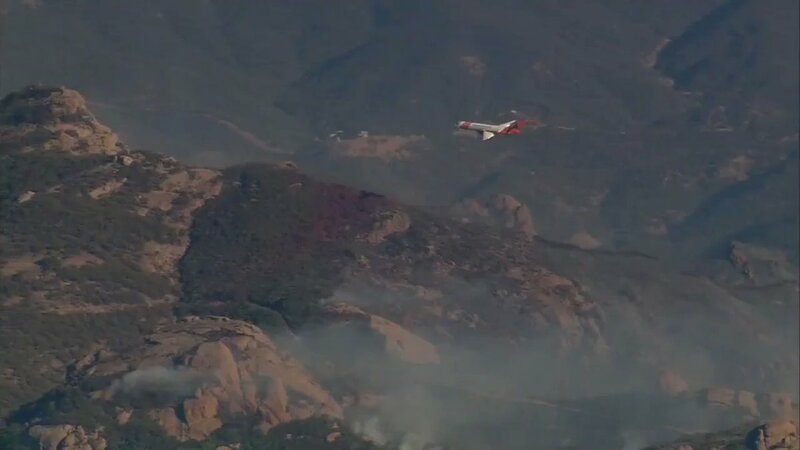 #WoolseyFire: Air attack ordering all air tankers to the north end of the fire. 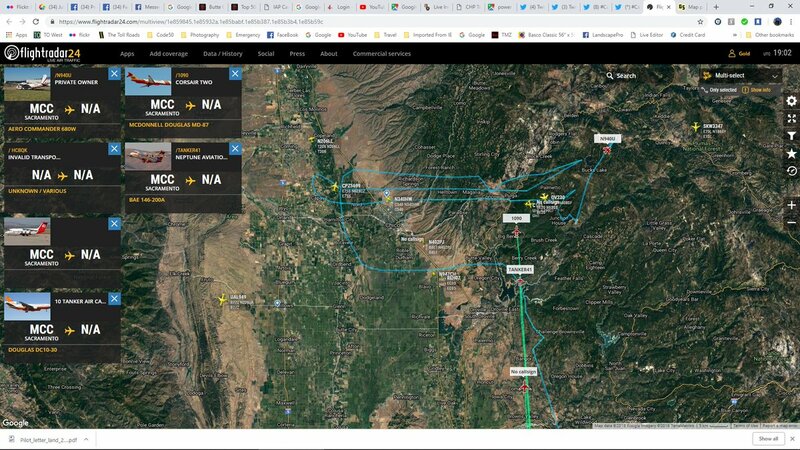 #CampFire the winds are picking up, coming down from the north. 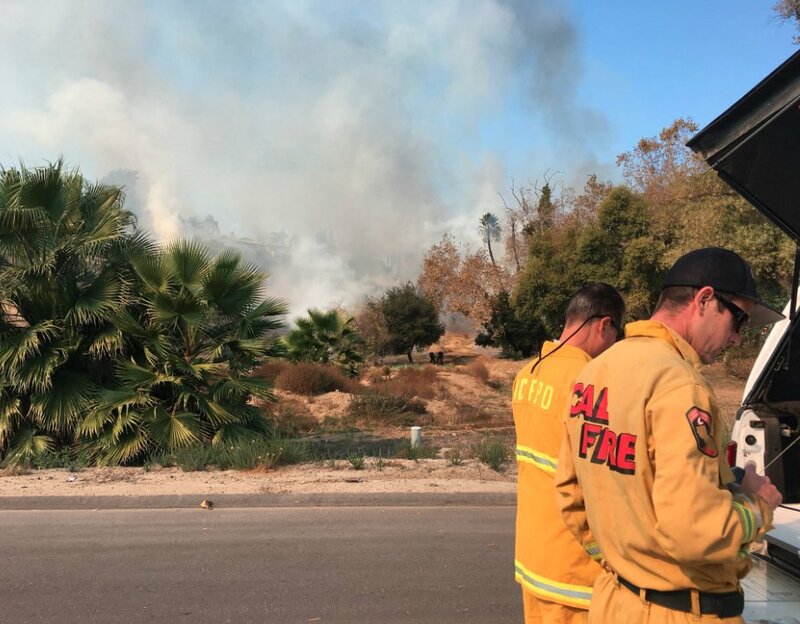 The #WoosleyFire approached a West Hills home, but fire crews were on the ground pushing it back. 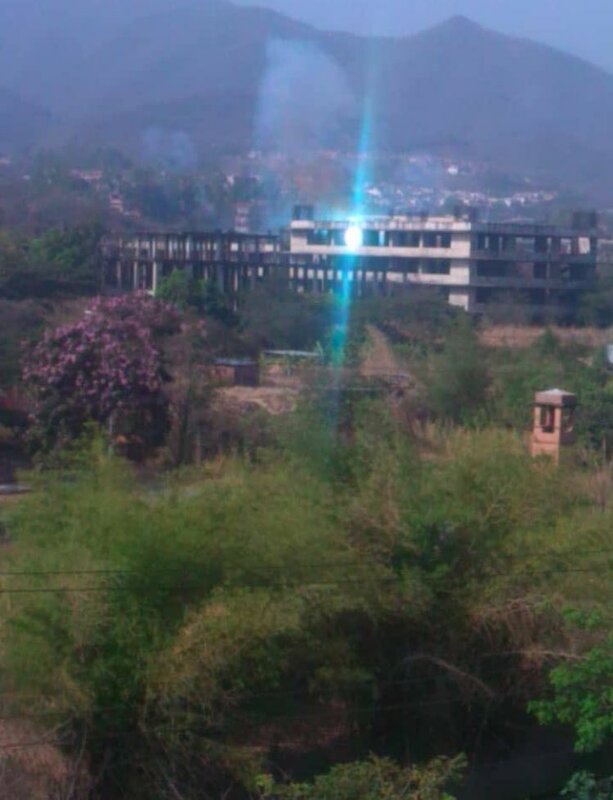 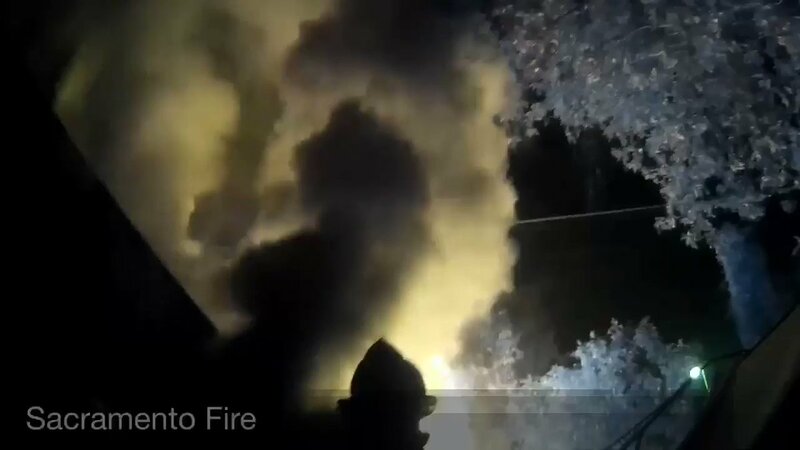 They successfully knocked the blaze down and defended the hilltop home. 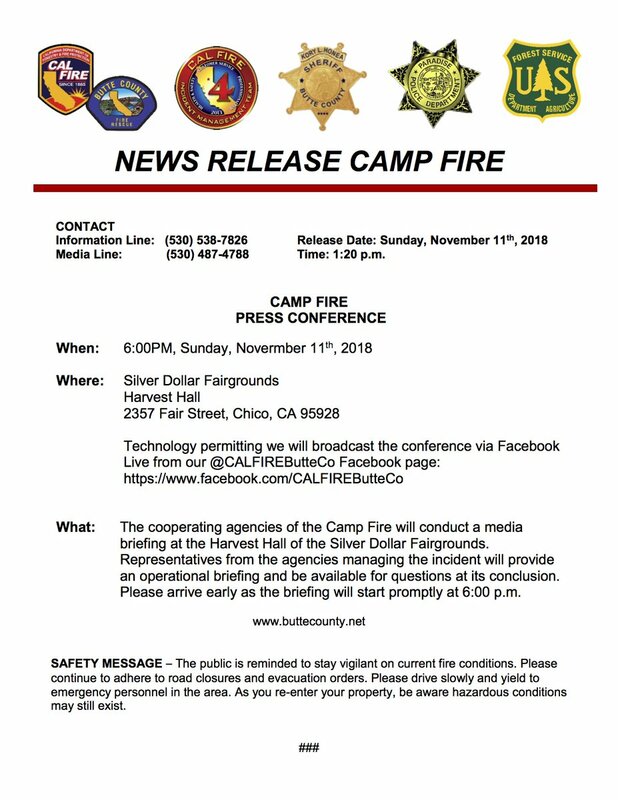 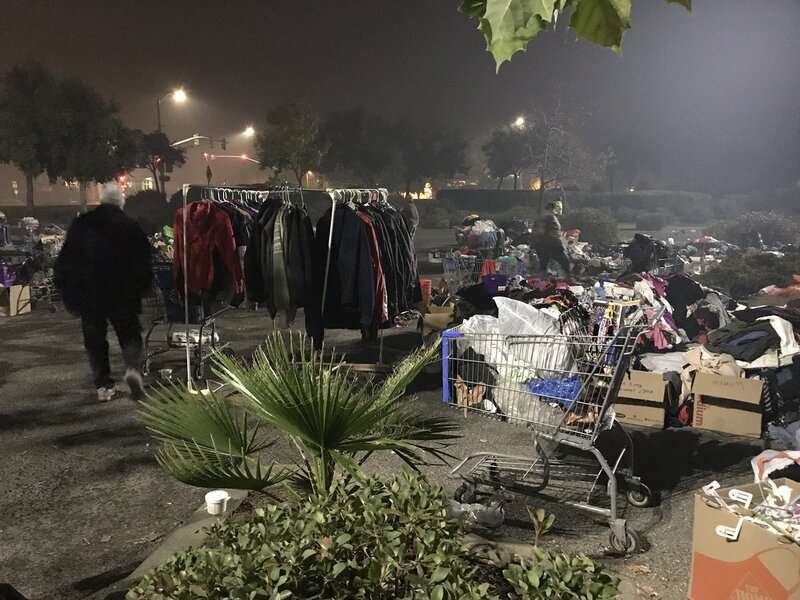 #CampFire Press Conference - 11/11/18, 6:00 PM at Silver Dollar Fairgrounds, Harvest Hall, 2357 Fair Street, Chico, CA 95928. 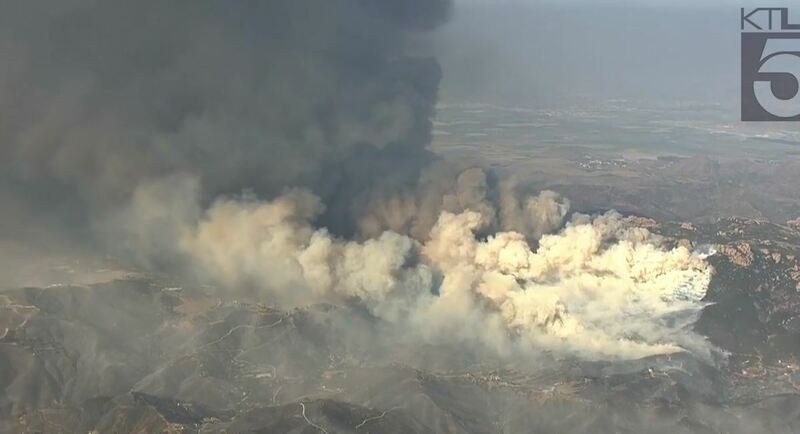 Current picture of Woolseyfire in Malibu. 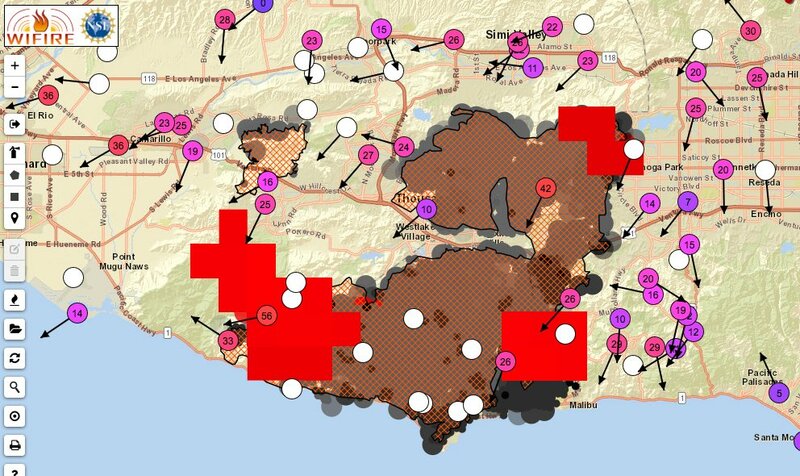 Bright red tiles are the hot spots from NASA GOES, the circles are gusts with arrow for wind direction. 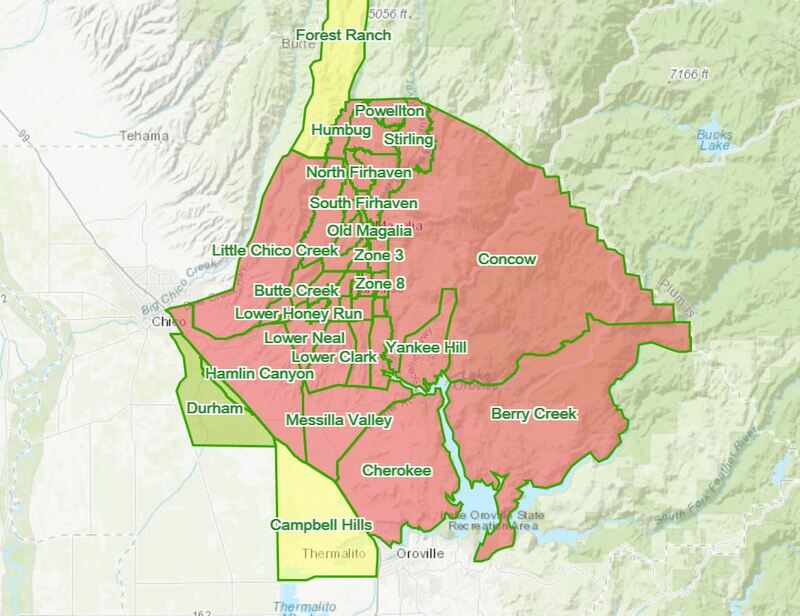 Orange areas are the officially announced perimeters from this morning. 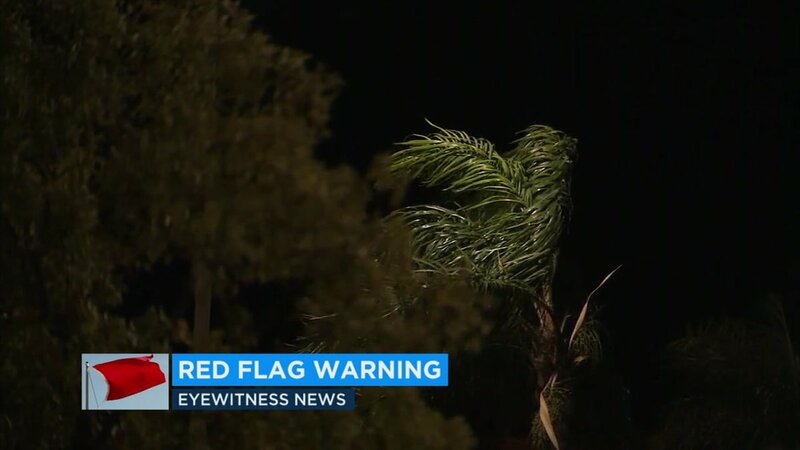 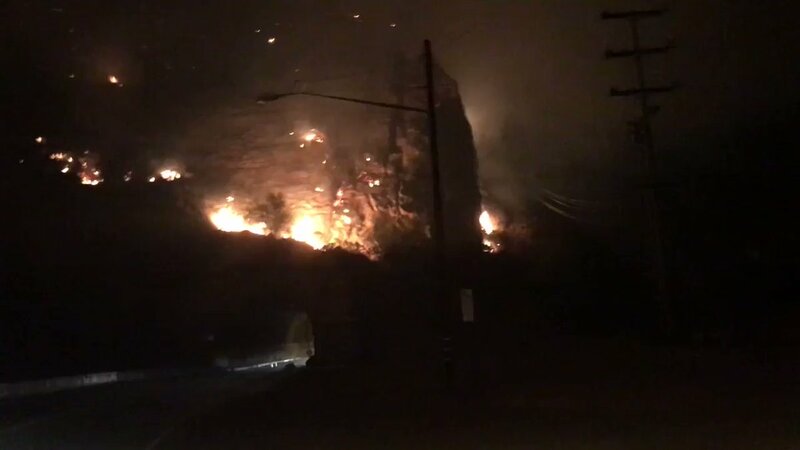 #WoolseyFire: Reported flare up at Liberty Canyon and Agoura. 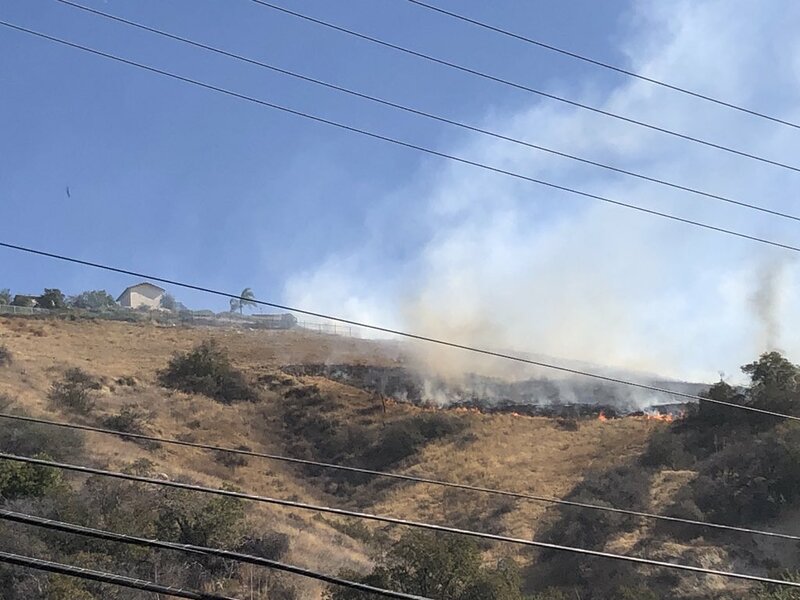 #WoolseyFire: Reported rekindle of a structure at 4034 Jim Bowie road in Agoura Hills. 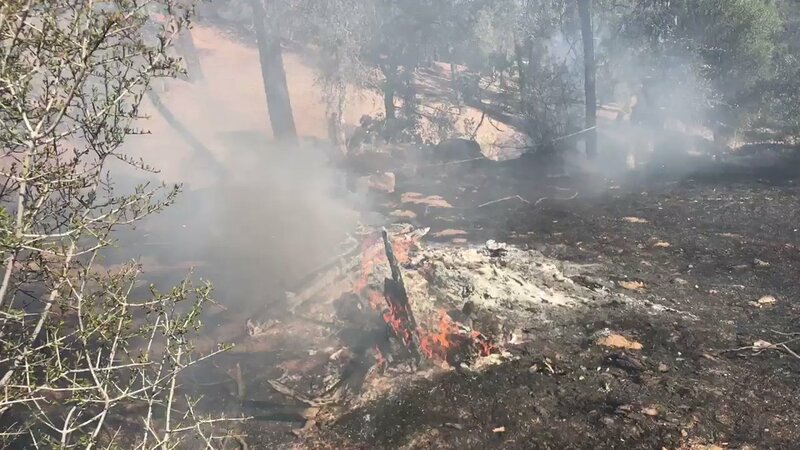 They have stopped forward progress of fire off Akrich Avenue in north Redding. 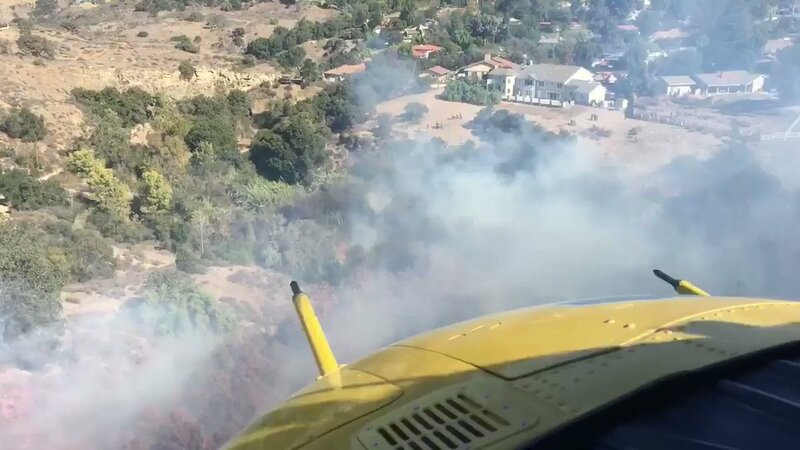 #FallsbreaFire IC reports forward rate of spread has been stopped. 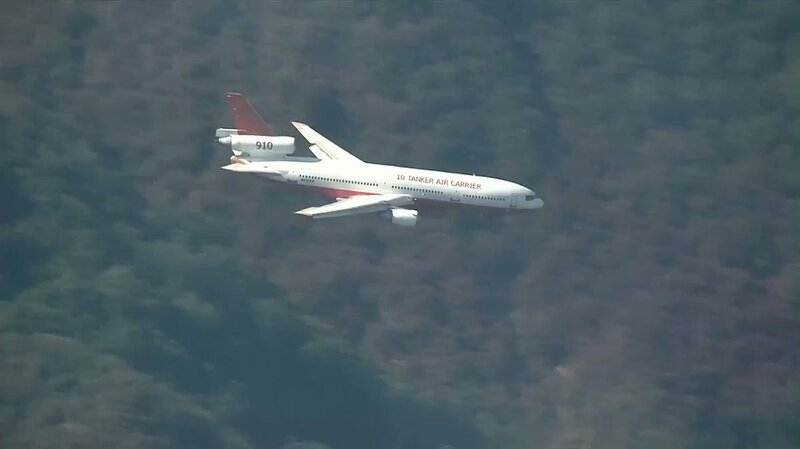 A DC 10 drops retardant over WoolseyFire in Malibu. 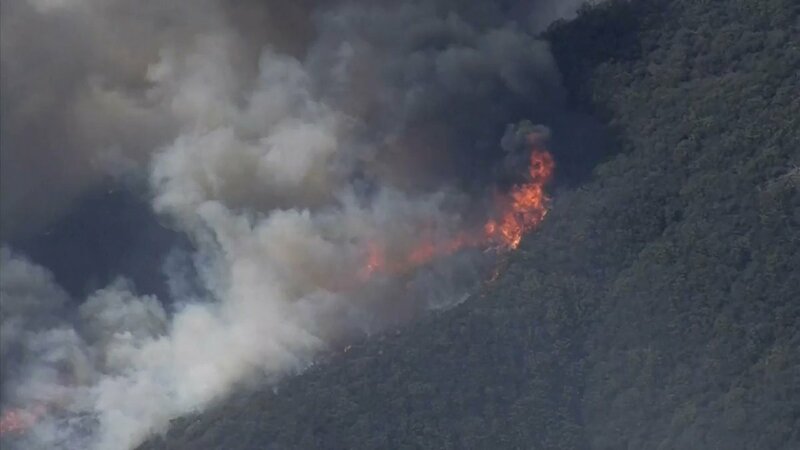 The blaze is picking up as strong winds return to the area. 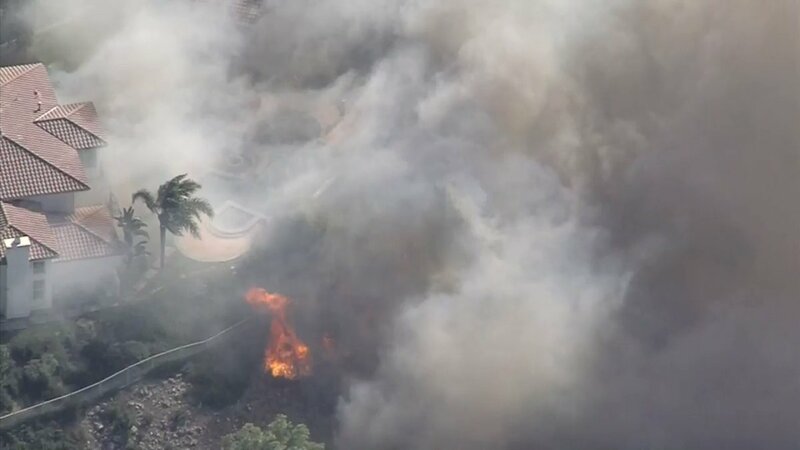 @NBCLA's NewsChopper4 captured the moment when firefighters saved a home from the Woolsey Fire on Wiscasset Drive in WestHills. 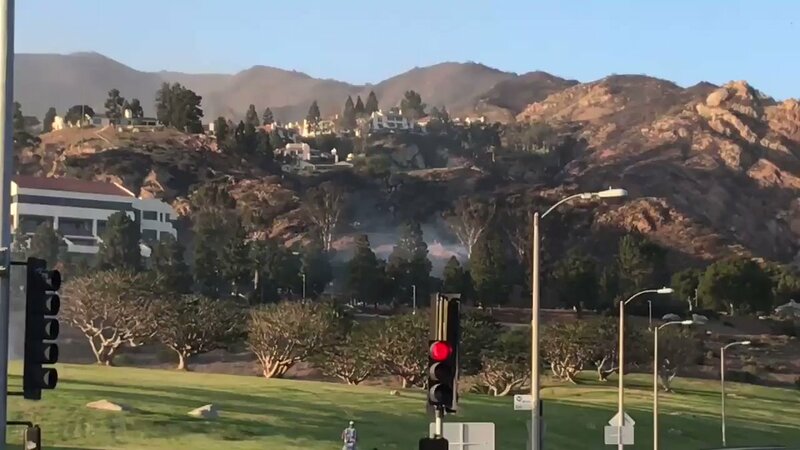 #WoolseyFire: Flare up by the Chumash Indian Museum on Lang Ranch Pkwy and across the street at the park. 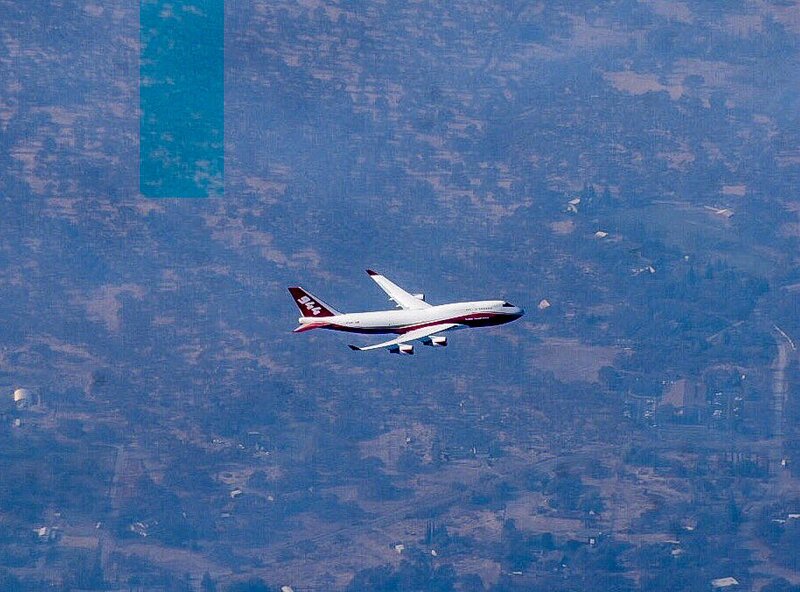 The world's largest firefighting airplane, the @GlobalSuperTank has joined the fight against the devastating CampFire in Northern California. 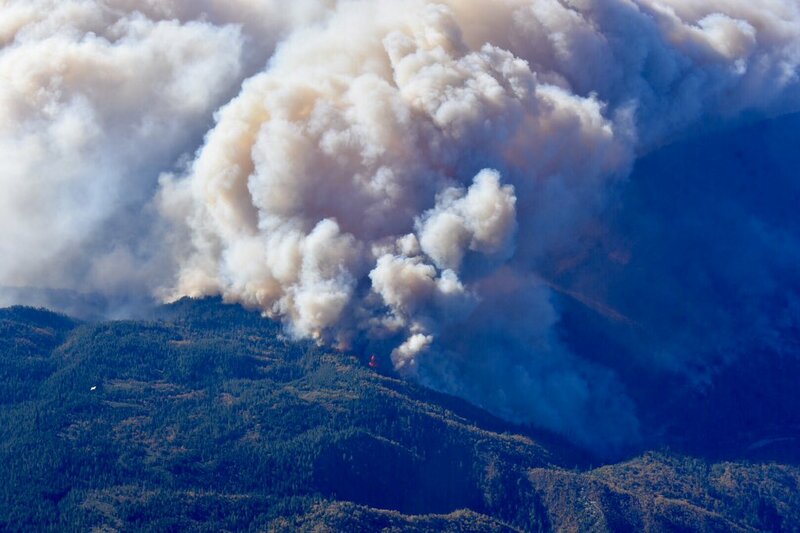 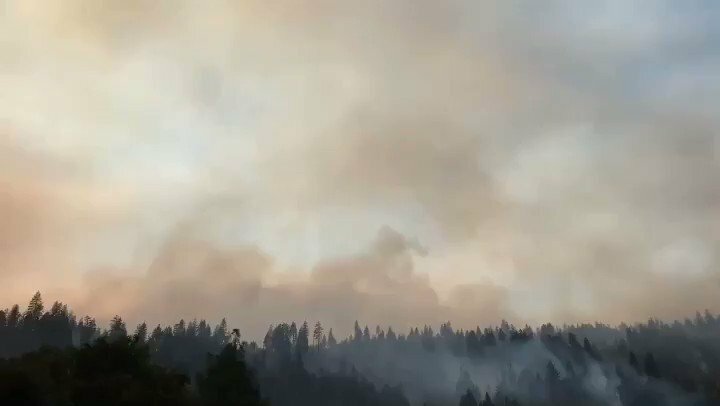 The #CampFire is rapidly growing on the northeast side. 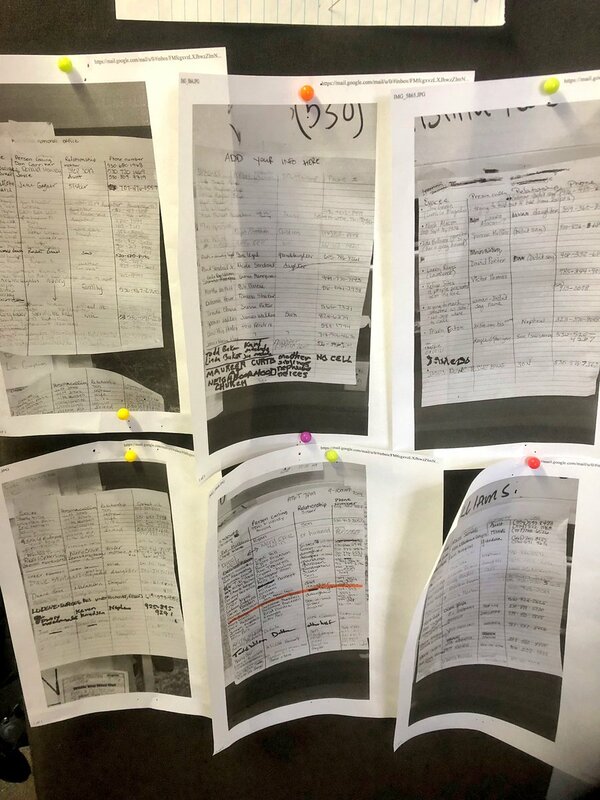 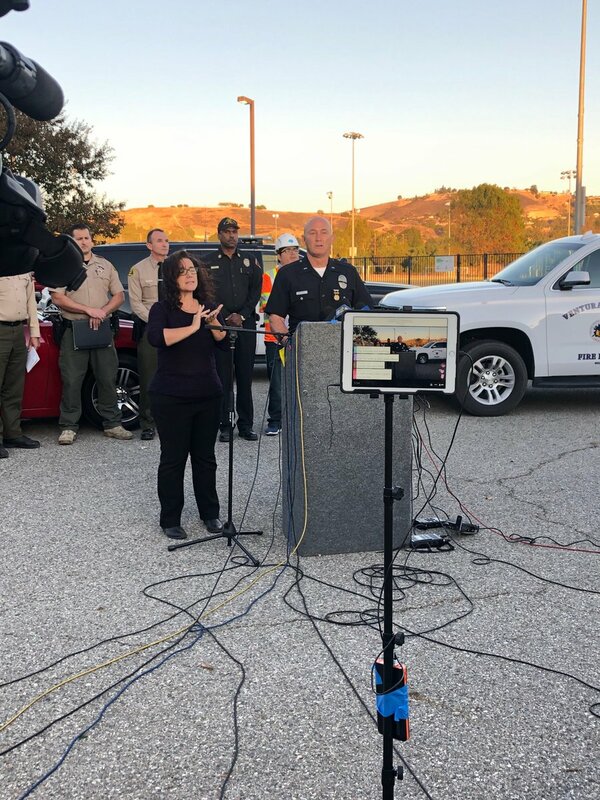 All Mandatory Evacuations for Calabasas remain in place. 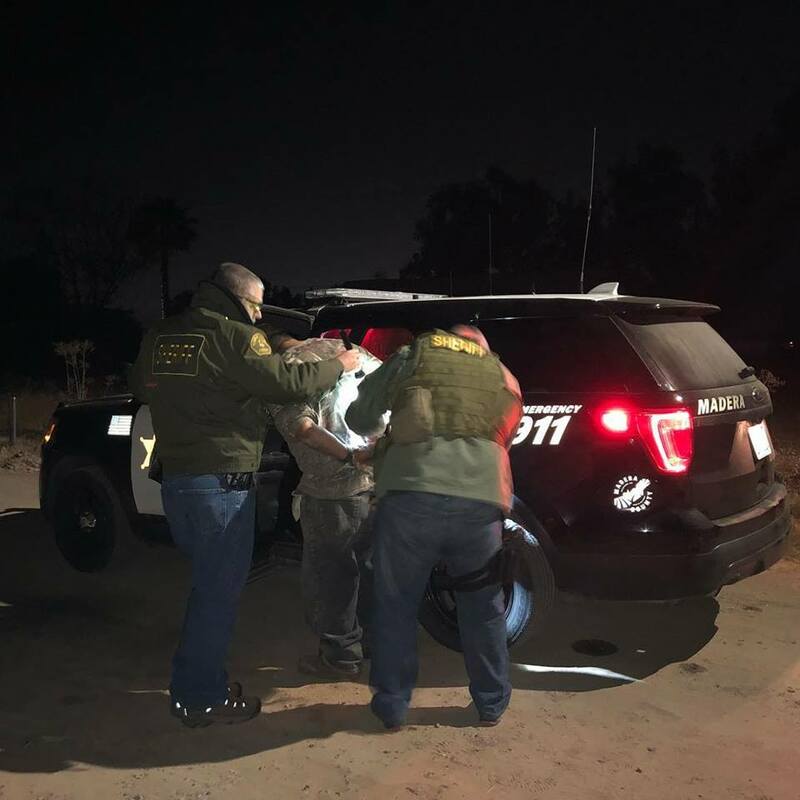 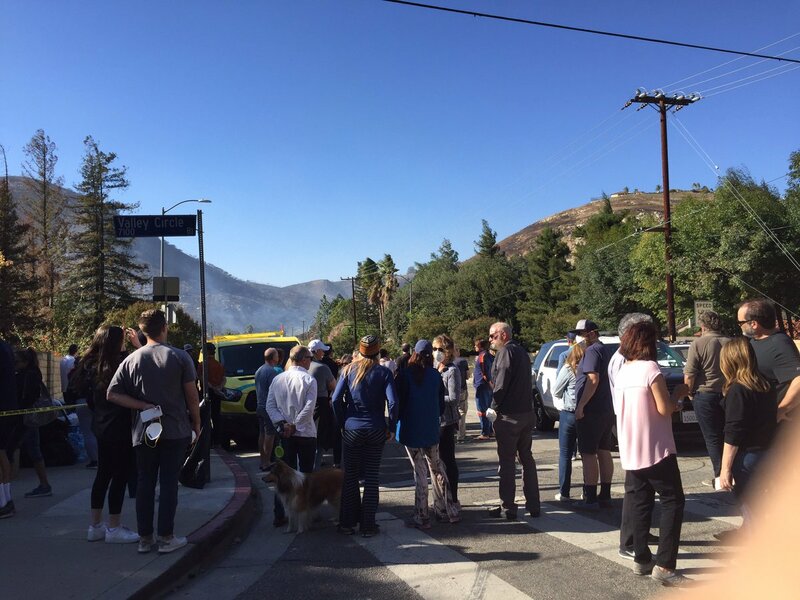 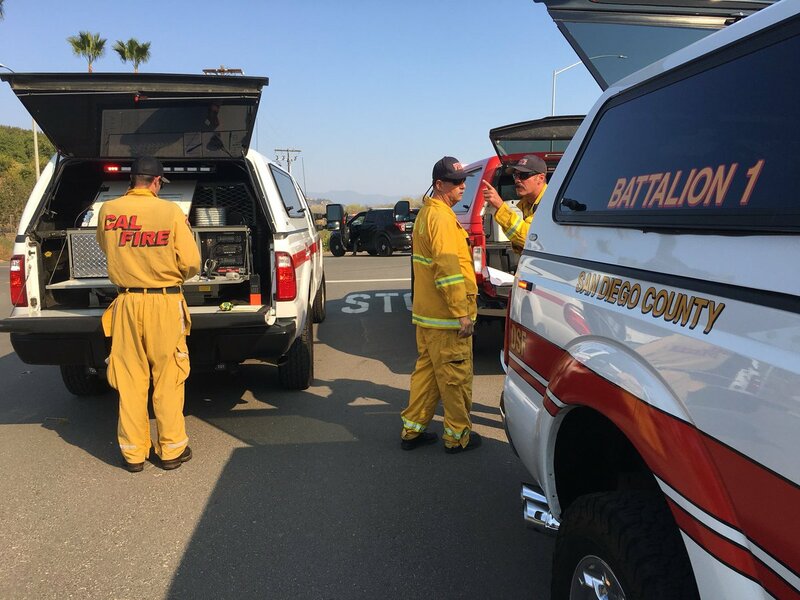 Residents are trying to return to evacuated areas and taking emergency personnel away from life and property saving activities. 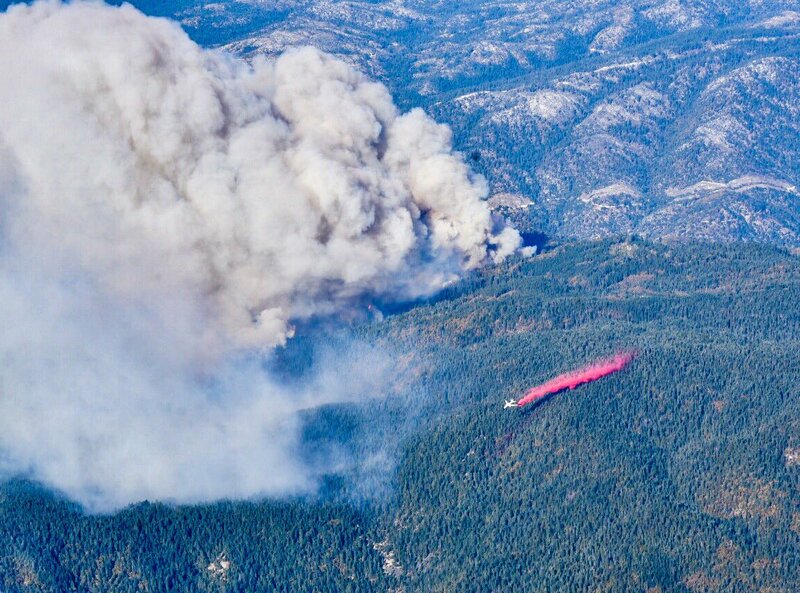 Dwarfed by smoke from the CampFire, a airtanker makes a retardant drop on the fire's northeast end, where it's growing rapidly. 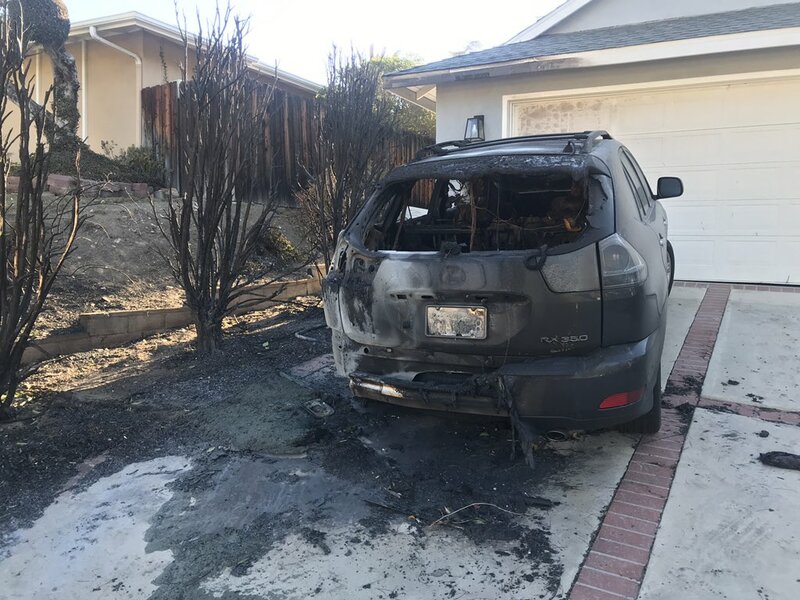 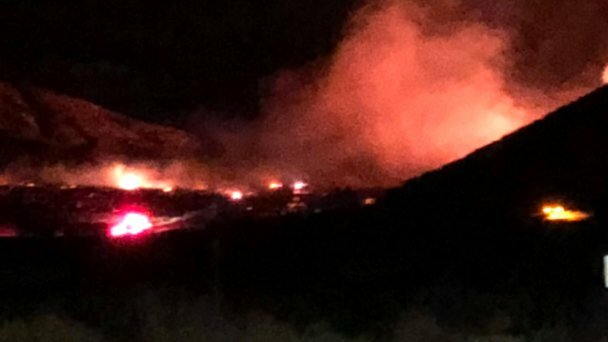 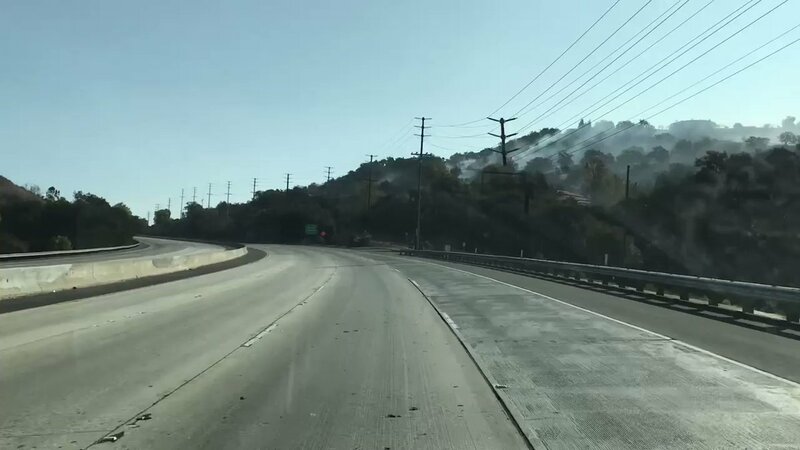 #WoolseyFire - Couple of flare-ups reported 911 in the Agoura Hills area; 28860 Countryside Dr and 5266 Edgeware Dr, one on each side of the 101 Fwy. 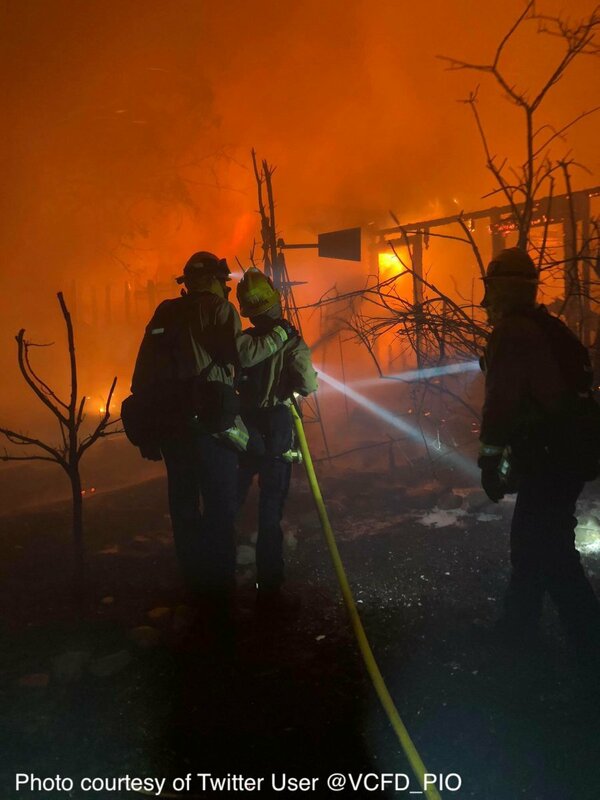 *Vegetation Fire - Los Alamos Rd* Santa Rosa Firefighters are at scene of a vegetarian fire in the 100 block of Los Alamos Rd. 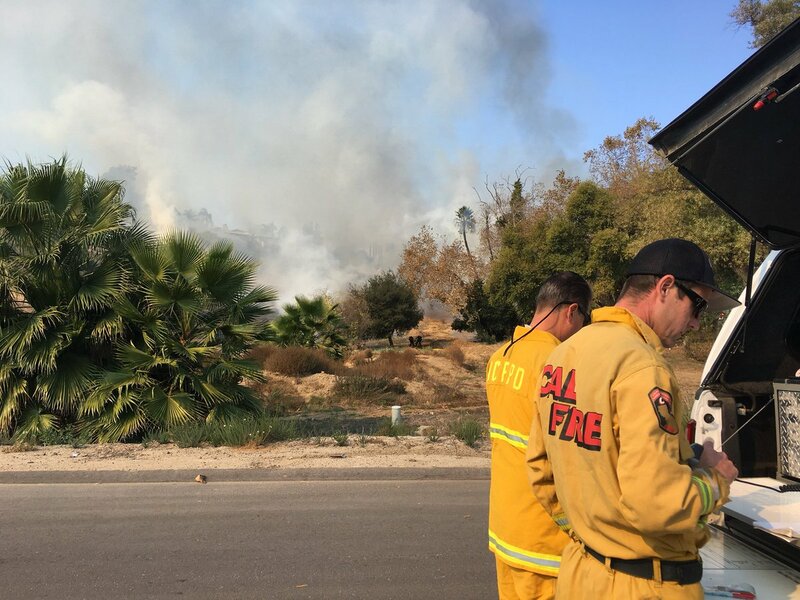 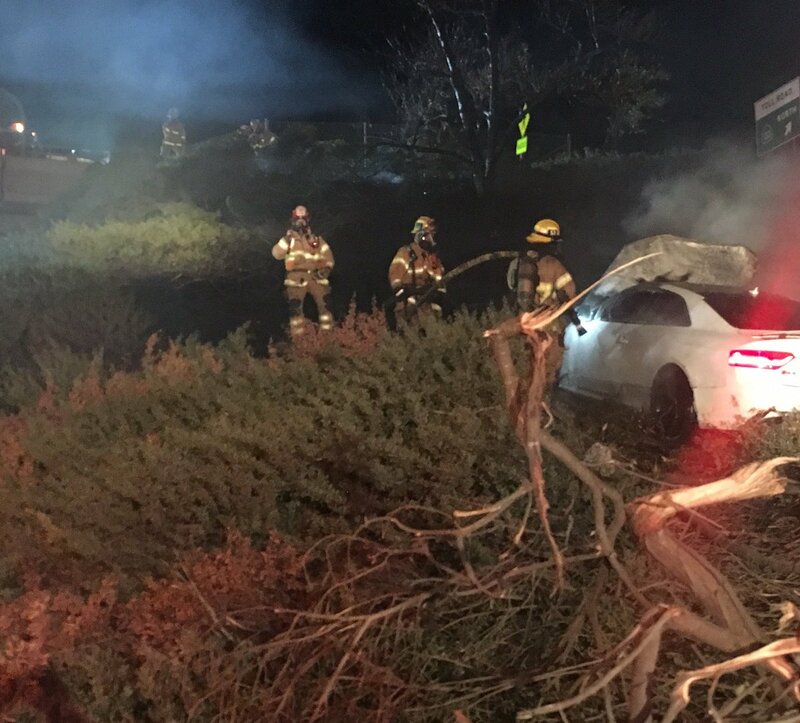 The fire was quickly brought under control and held to under an acre. 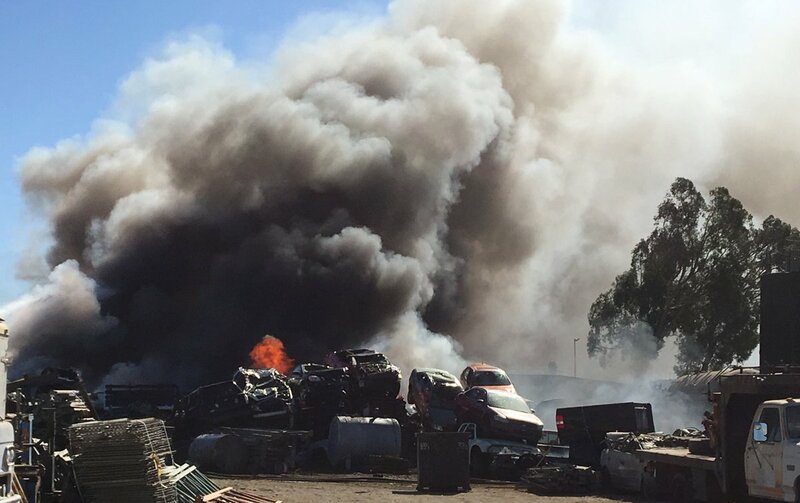 Multiple units responded and will remain on scene until all hot spots are out. 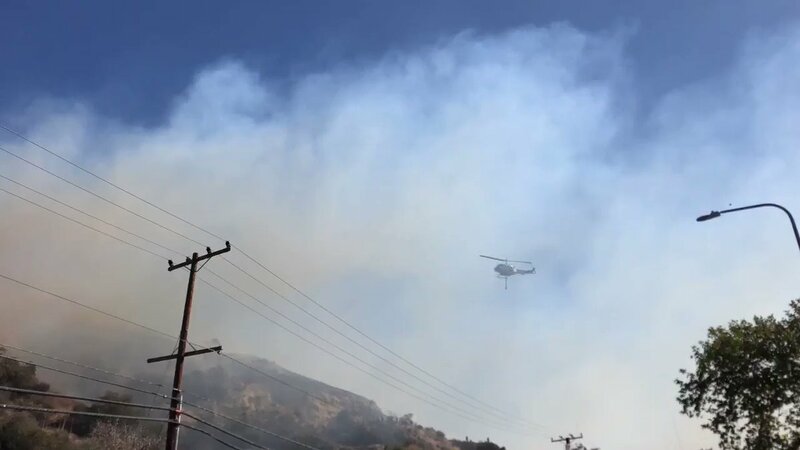 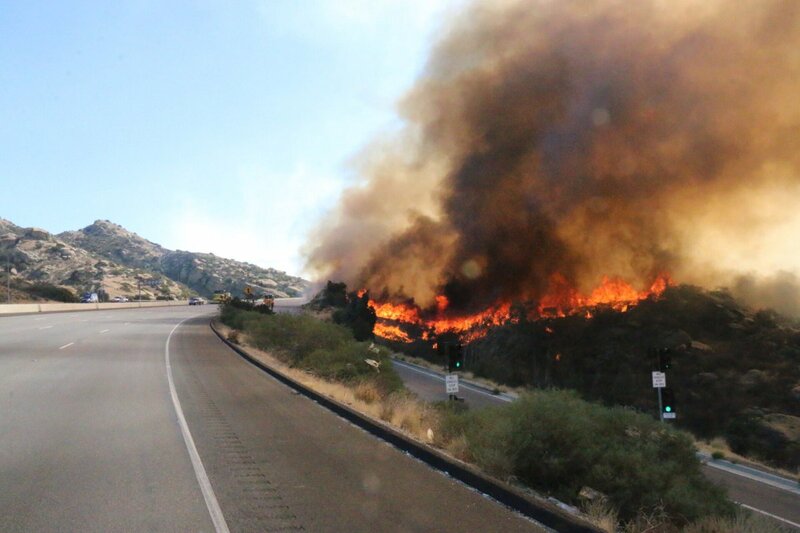 A flare-up has been reported at Malibu Canyon Rd and PCH near Pepperdine University in Malibu. 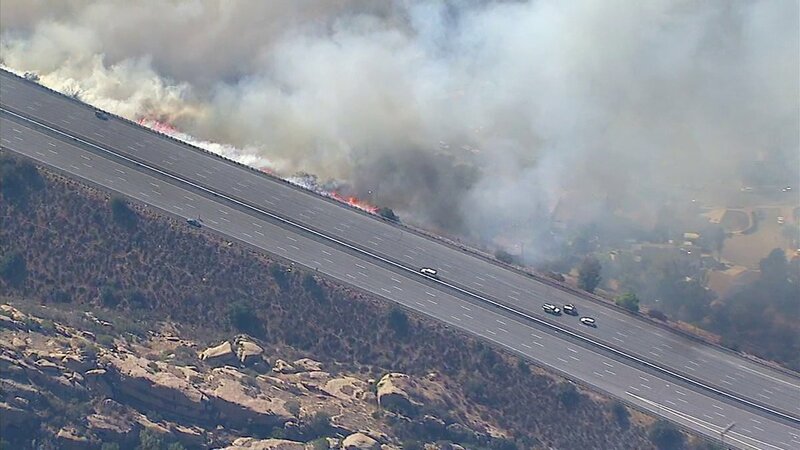 Firefighters are en route. 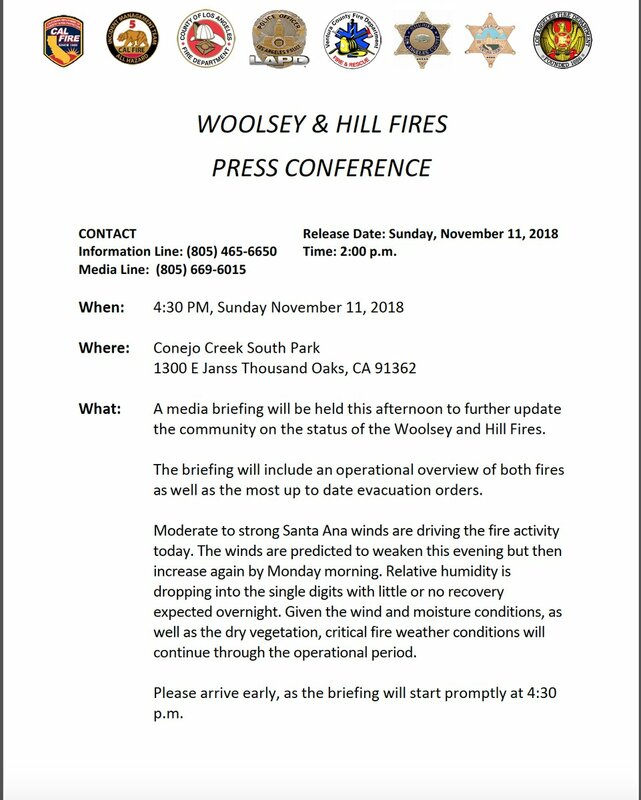 Here is the updated emergency information on the #HillFire and #WoolseyFire. 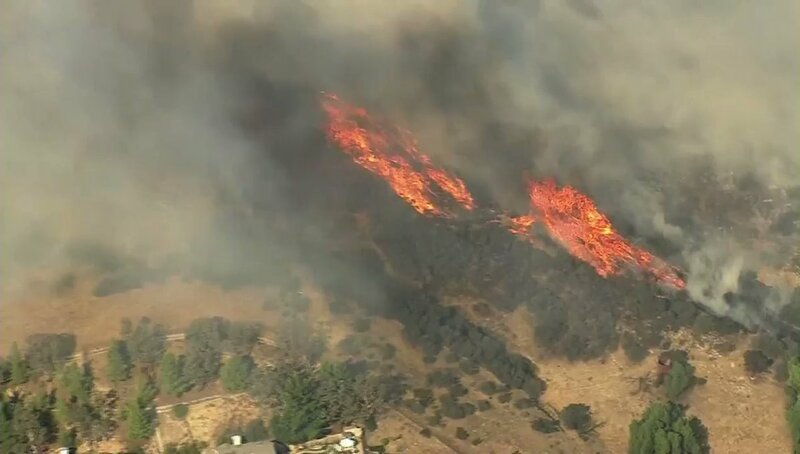 Hill Fire has burned 4,531 acres at 70% containment, Woolsey Fire has burned 83,275 acres at 10% containment. 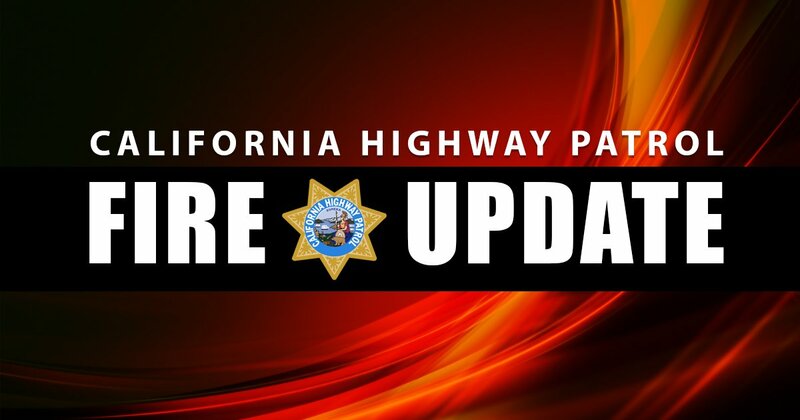 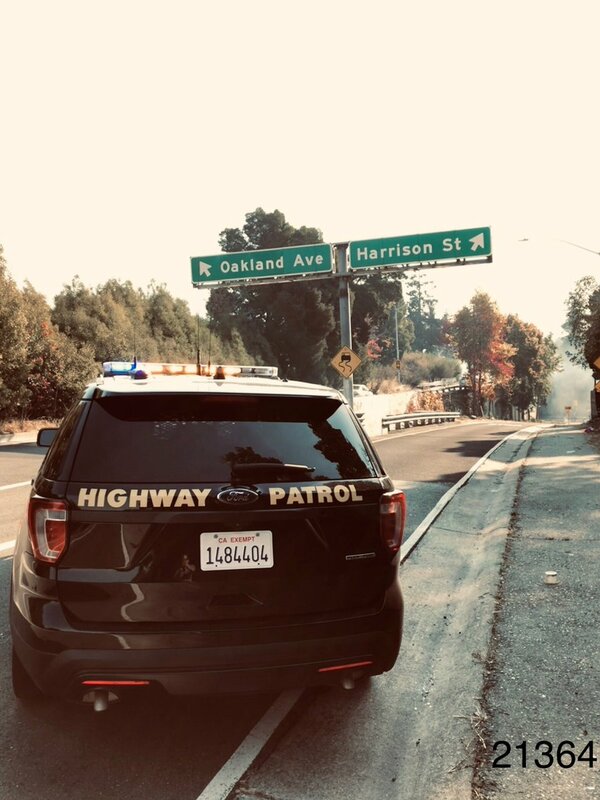 Fire: Small fire this morning caused the Harrison St off ramp from EB I-580 to close for approx 20 min while @OaklandFireDep shut out the fire. 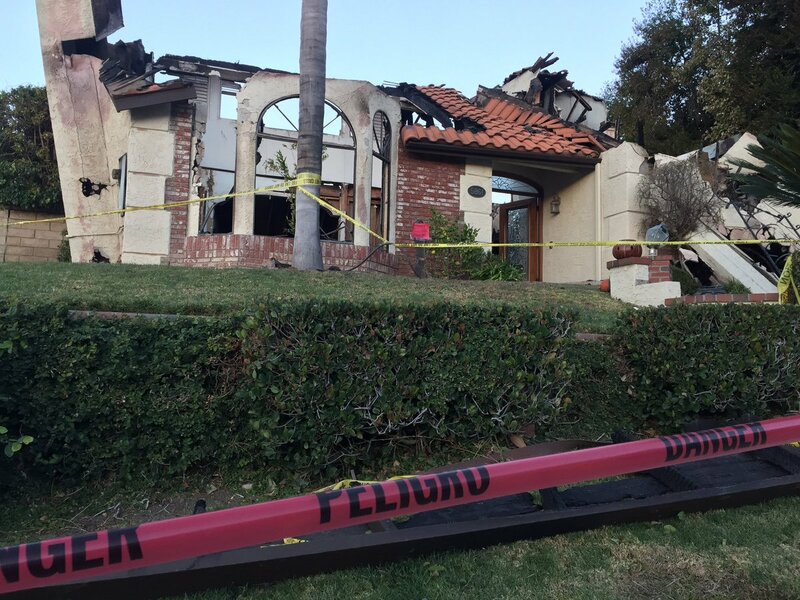 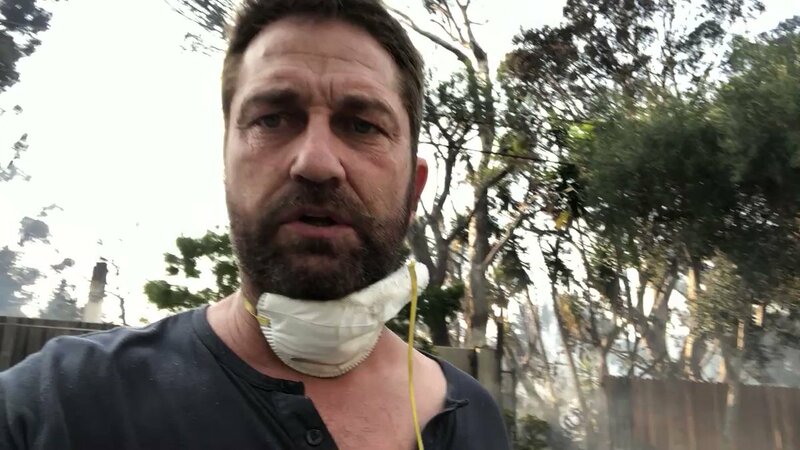 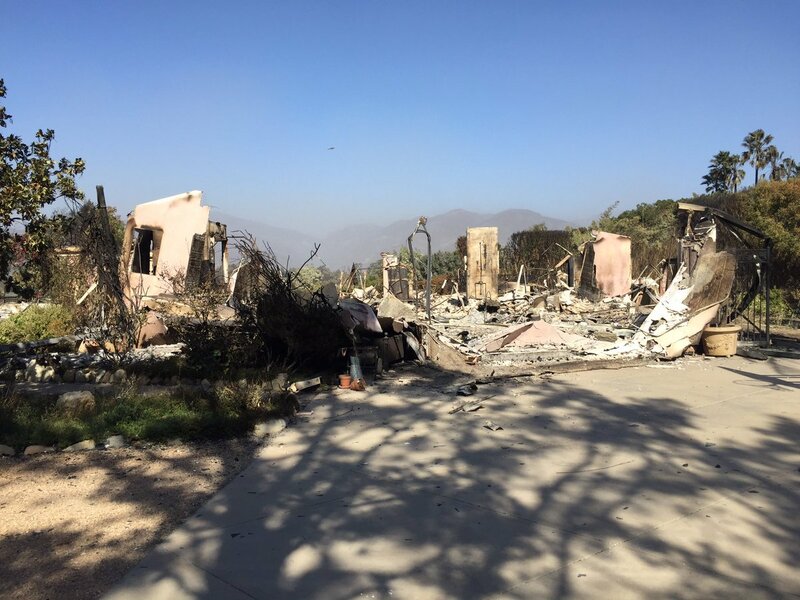 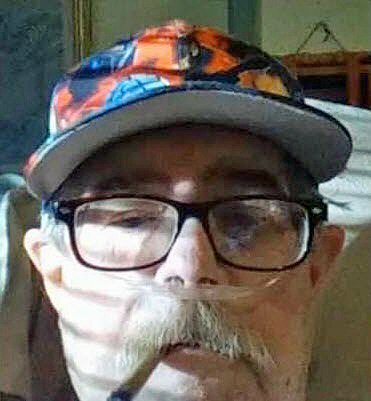 A Malibu official says City Councilmen Jefferson "Zuma" Wagner is in the ICU unit of a hospital after losing his home in the Woolsey Fire. 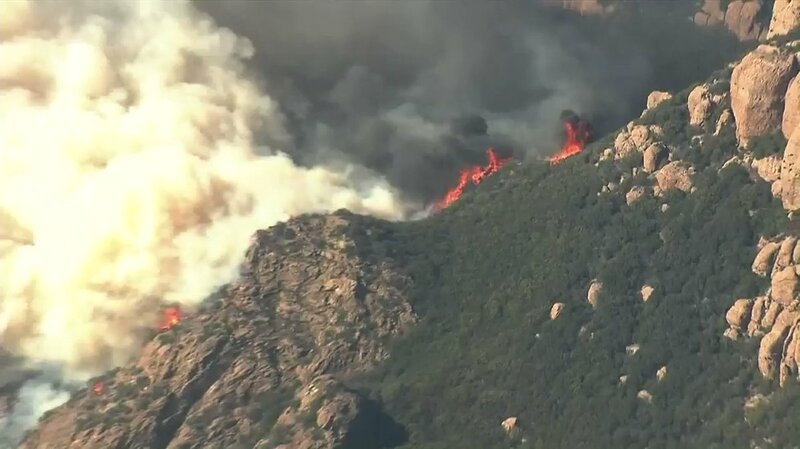 #WoolseyFire: West side of the fire very active. 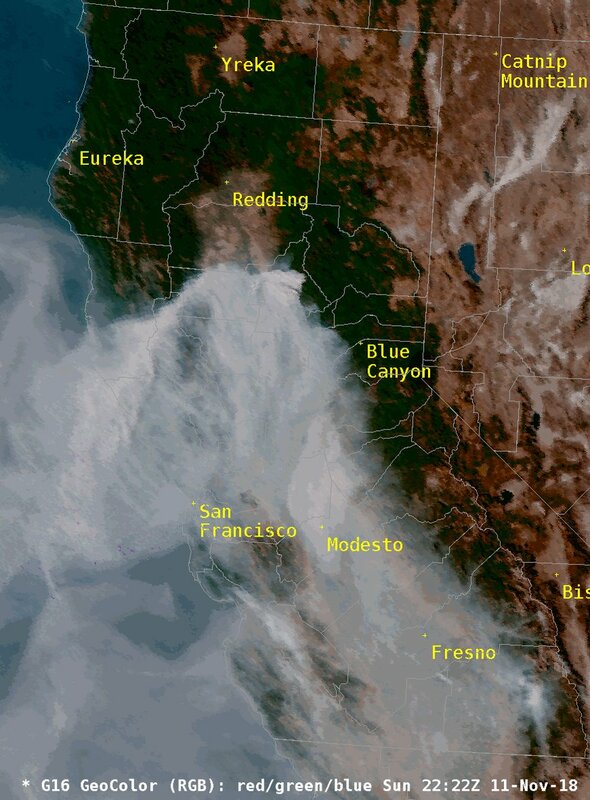 Smoky air is once again clogging the Bay Area today. 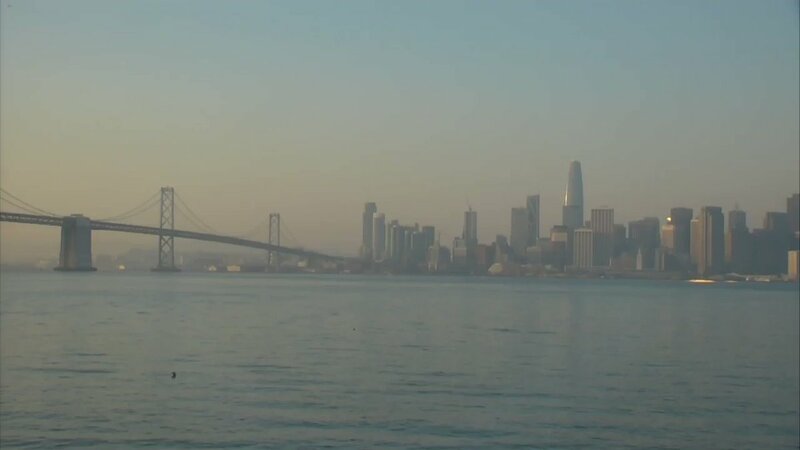 Unhealthy air conditions are expected to hang around through tomorrow at least, according to the @AirDistrict. 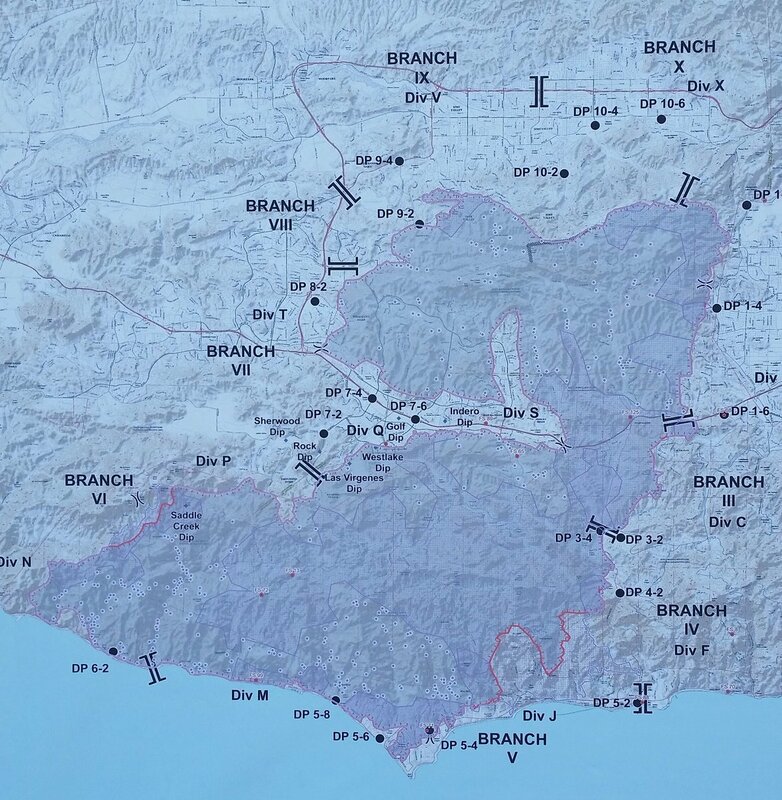 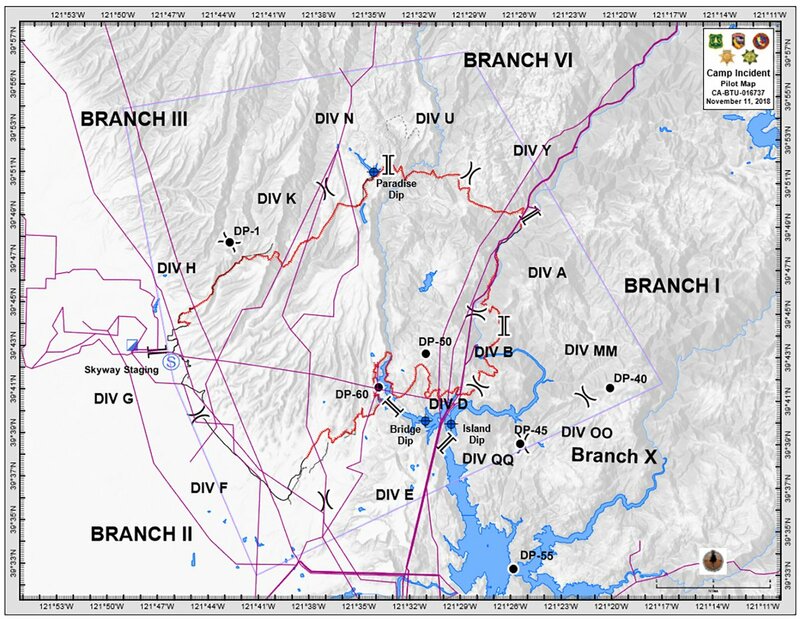 #WoolseyFire Air attack says Division A activity (this is the one in the Valley off Victory), increased activity division FJ and Division P and Q. 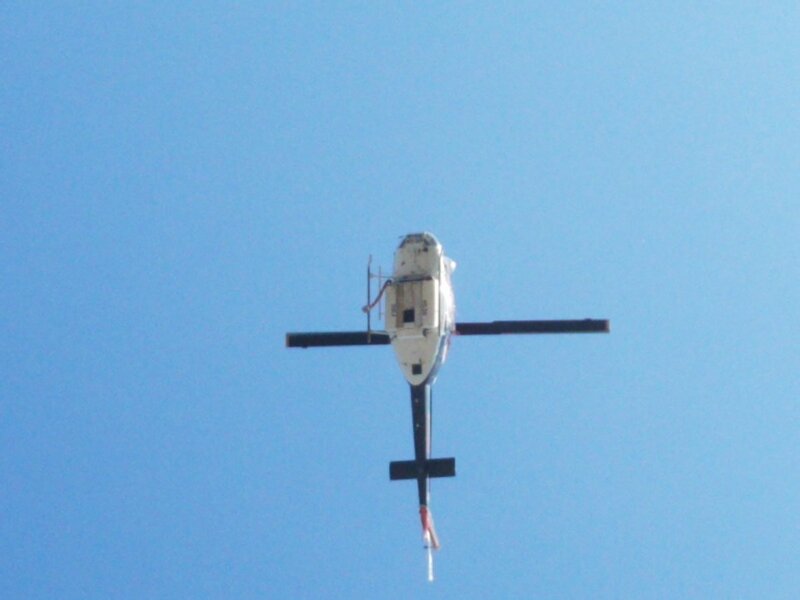 Working helicopters and helco. 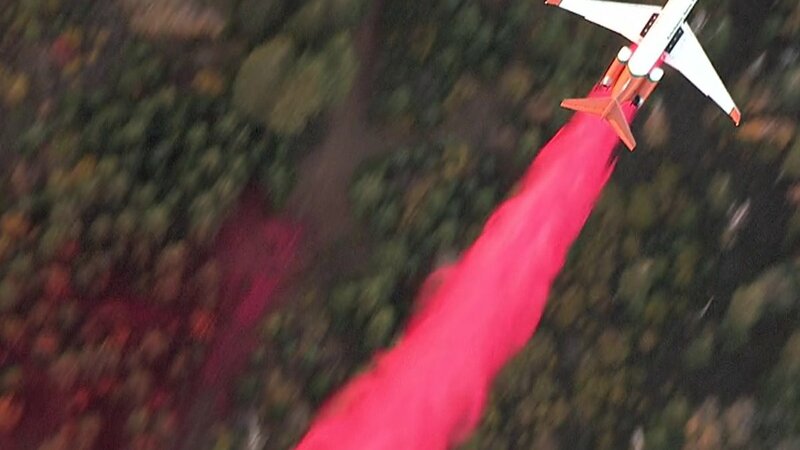 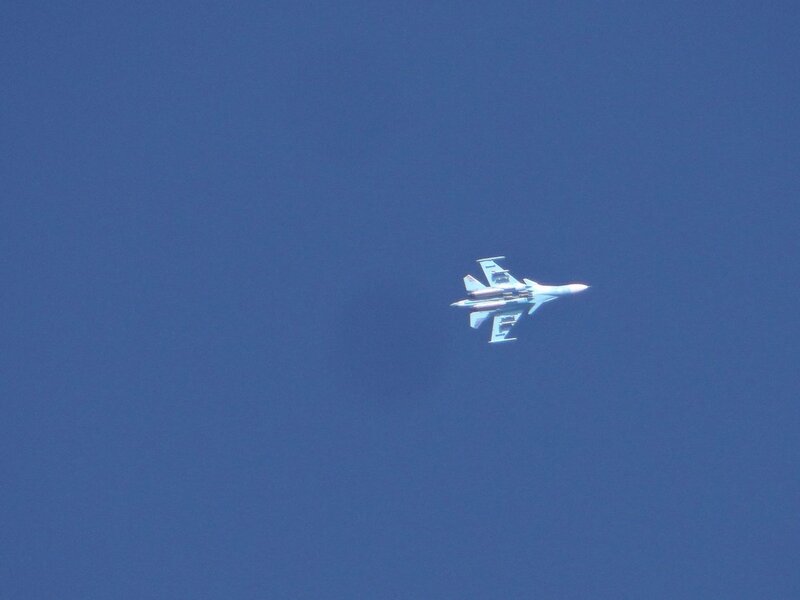 Indirect with retardant. 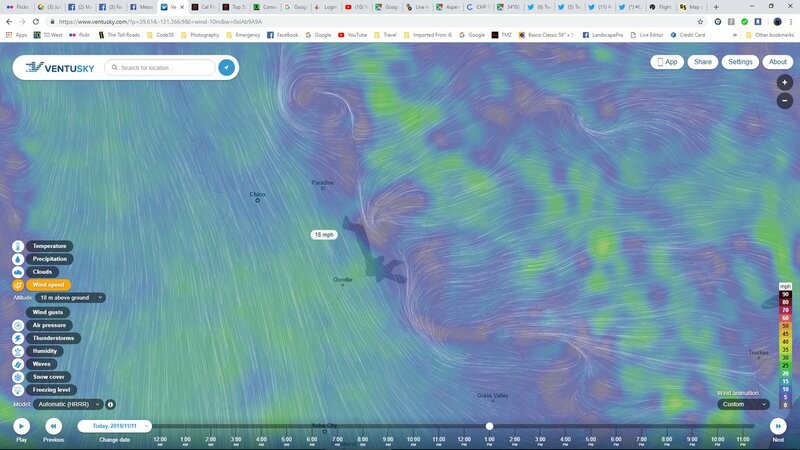 Wind starting to influence activity, drop in RH. 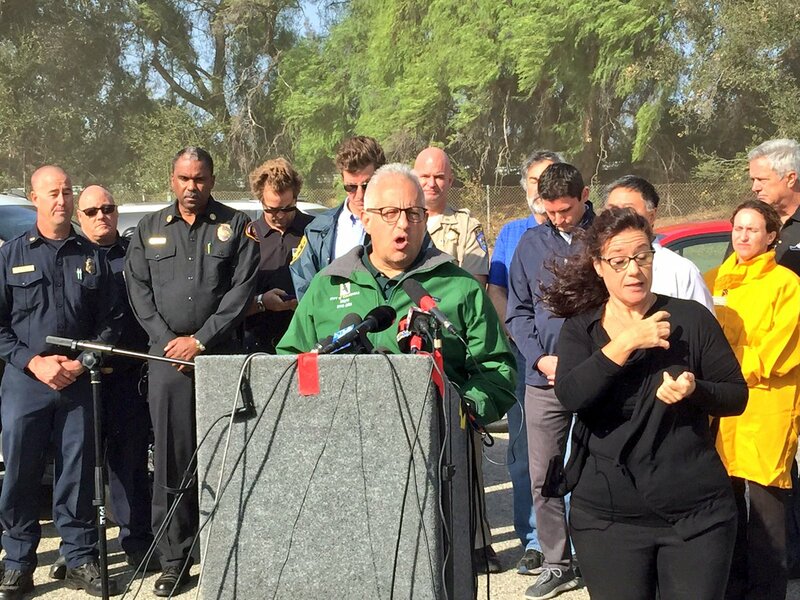 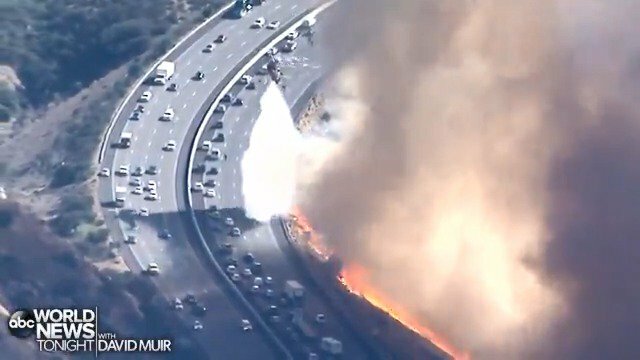 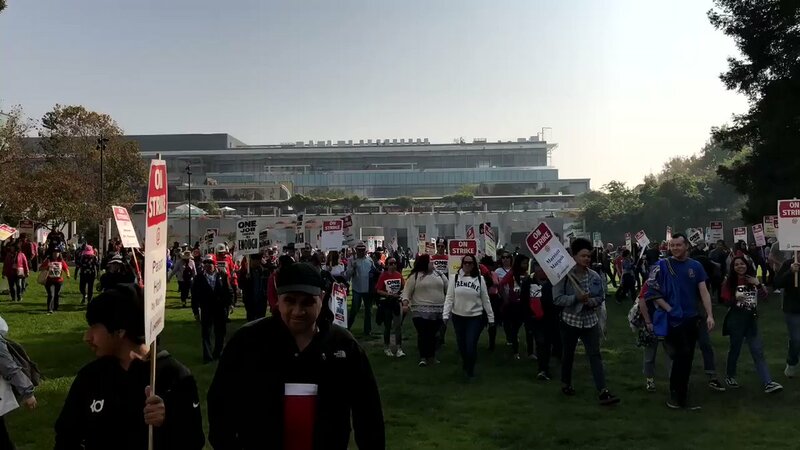 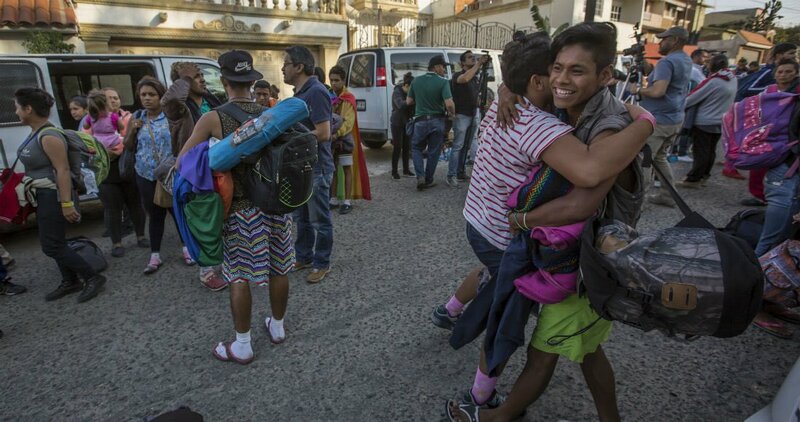 Officials say they plan on opening up the 101 freeway later this afternoon. 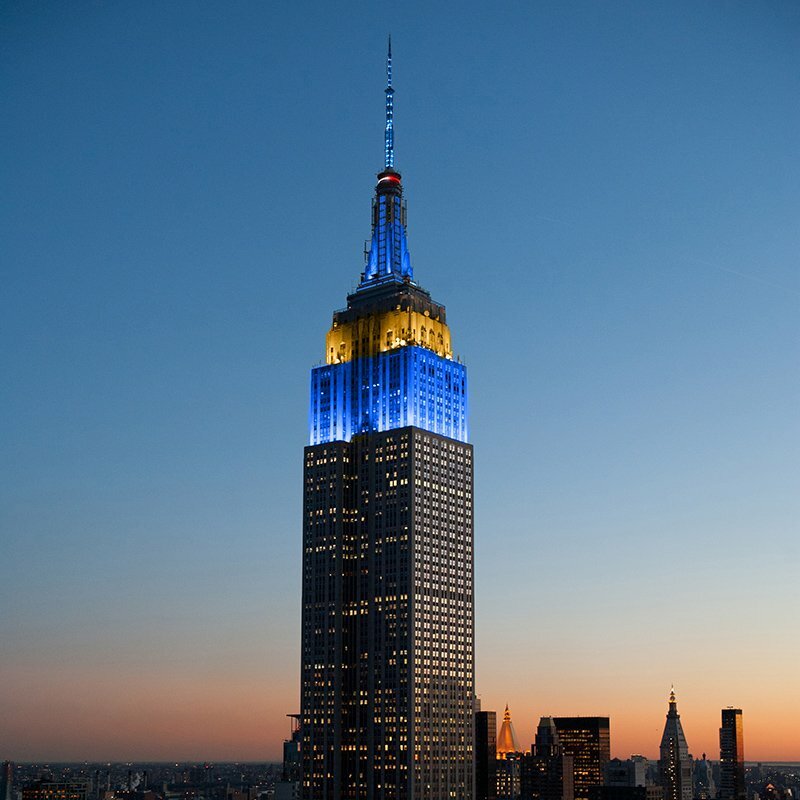 Exact time TBD. 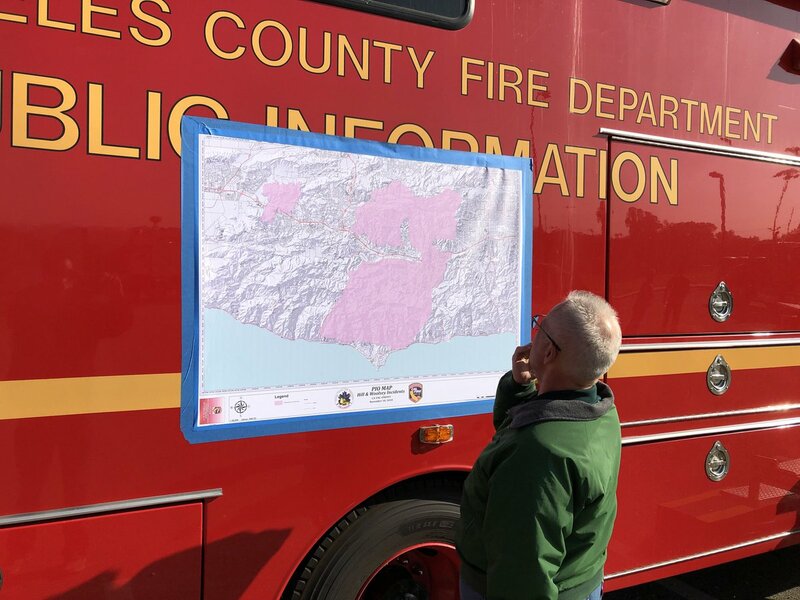 Calabasas Mayor Fred Gaines at the WoolseyFire Incident Command in Thousand Oaks. 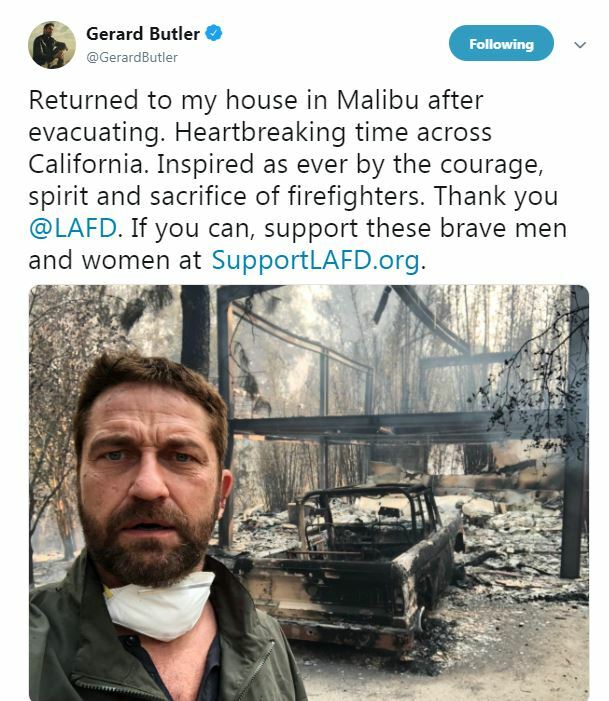 He will be speaking at the 9:30am press conference.